Motorola India today announced 50 new ‘Moto Hubs’ in Telangana, across top 8 cities including Hyderabad, Secunderabad, Warangal, Karimnagar, Nalgonda, Khammam, Nizamabad, Mancherial to further strengthen their retail presence in the southern market. Moto Hub is a key destination that provides easy access and availability of all Motorola products to customers; where they will be able to experience the entire portfolio of Motorola devices at convenient locations including the online exclusive devices like the popular moto e4 plus and moto g5s plus, apart from the newly launched moto x4 and moto z2 force. According to GFK, Telangana has emerged as a significant market in India with approximately 3L smartphones sold every month out of which 2L smartphones are sold in Hyderabad alone, thus contributing 67% of the total smartphones sold in the state. Furthermore, Hyderabad contributes 10% of the total smartphones sold in the southern market. B. Mallikarjun Rao, Regional Sales Lead, Motorola Mobility India said, “Our customer centric strategy has helped us immensely to get closer to our customers. We have received encouraging response to the previously opened Moto Hubs across Telangana and will continue to enhance our retail presence across Southern India to offer unique Moto experience to our valued customers." As part of the strategy to consolidate its retail presence across the country, Motorola announced its entry in Madhya Pradesh with the opening of 60 Moto Hubs across Bhopal, Indore and Jabalpur this month. It also advanced its retail footprint in the southern market by announcing 100 Moto Hubs across Tamil Nadu with 50 Moto Hubs in Chennai and 100 new ‘Moto Hubs’ in Karnataka across top 8 cities out of which 50 will be in Bengaluru. In addition to this, it also announced the opening of 50 new Moto Hubs in Mumbai and 25 Moto Hub stores in Kolkata respectively. Motorola commenced the year 2018, with the opening of 50 new Moto Hubs in New Delhi. 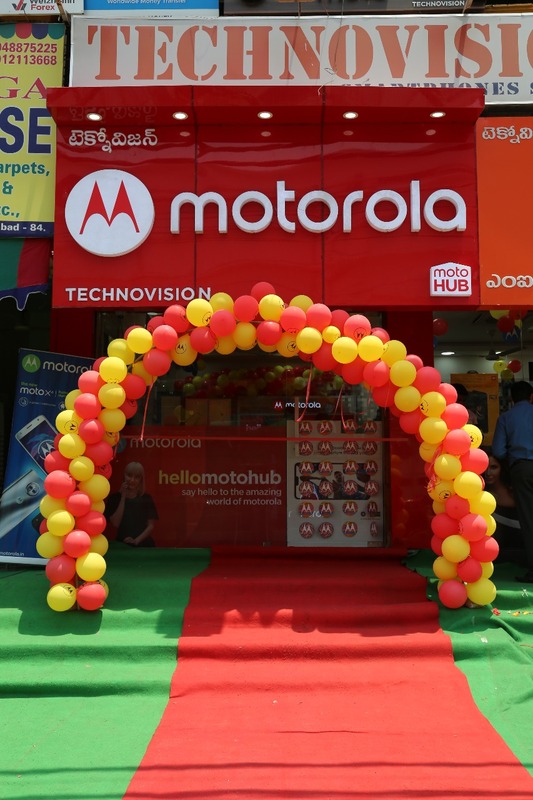 Motorola has also collaborated with Poorvika Mobiles across 43 cities in Tamil Nadu, Pondicherry and Karnataka and with Big C and Lo t Mobile stores across 55 cities in Andhra Pradesh and Telangana to provide retail access to consumers. All Moto Hub stores house the entire portfolio of Motorola devices, including moto e4, moto e4 plus, moto c, moto c plus, moto g families including moto g5s plus, moto g5s, moto g5 plus and moto g5 as well as moto z franchise and moto mods along with Motorola accessories like on-ear and in-ear headphones, moto shells and covers.